Sinks today have come a long way when it comes to material, finish, and styles. There are tons of options to choose from so we can understand how it could quickly become overwhelming. Some prefer a sink that that has a double or even a triple bowl, others might want a large single bowl. 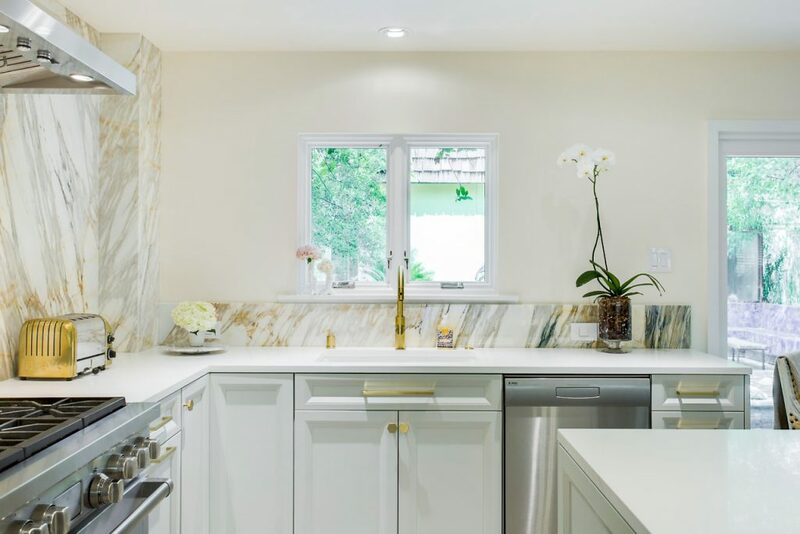 Actually, the two most commonly trending sink styles would be the single bowl farmhouse sink and the single bowl under-mounted sink. Both sinks are super functional, provide tons of space, and have options of finishes to choose from. If you’re curious about either one or trying to decide between the two, check out our breakdown below! 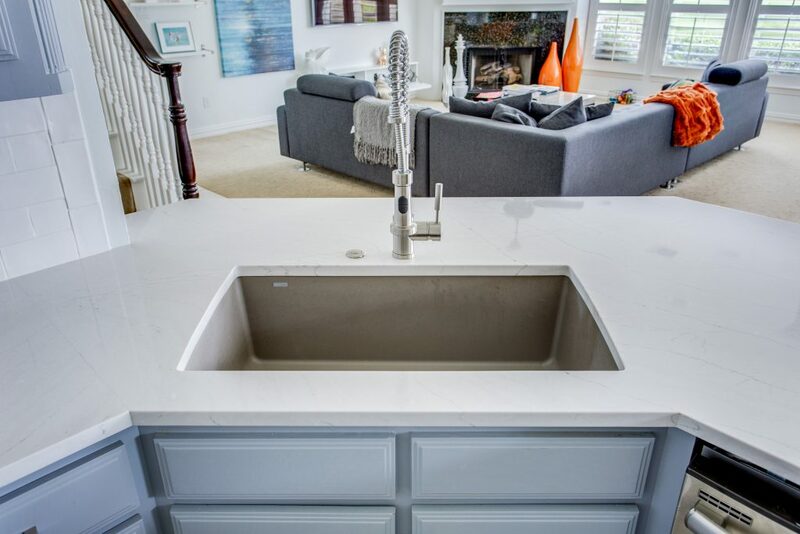 Farmhouse sinks today can come in many different types of materials. The first that may come to mind is the classic fireclay sink. Others also include copper, stainless steel, and different types of stone. Some may even come with decorative patterns on the front such as a hammering (copper) effect, or even fluting and beading (fireclay) effect. 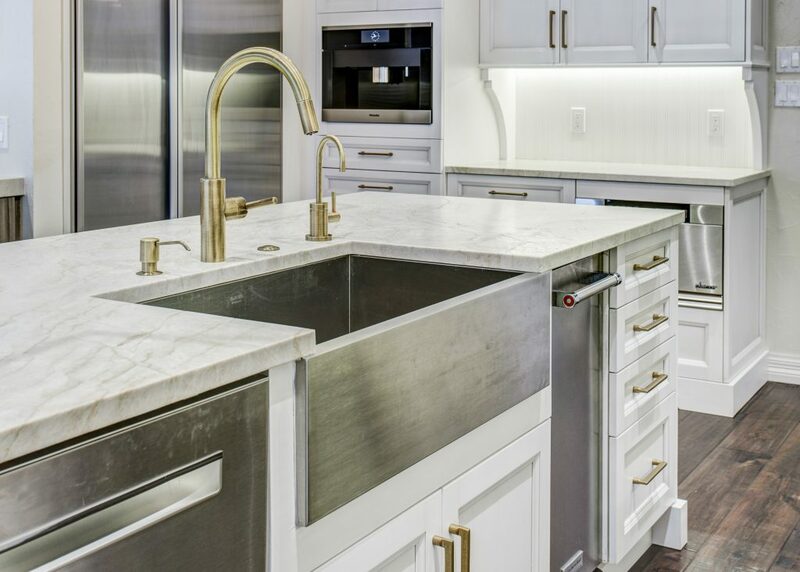 Benefits of having a farmhouse sink are that they tend to be deeper, are super durable, ergonomic, and if it’s a single bowl – you will have tons of space. Plus, they are just plain beautiful! 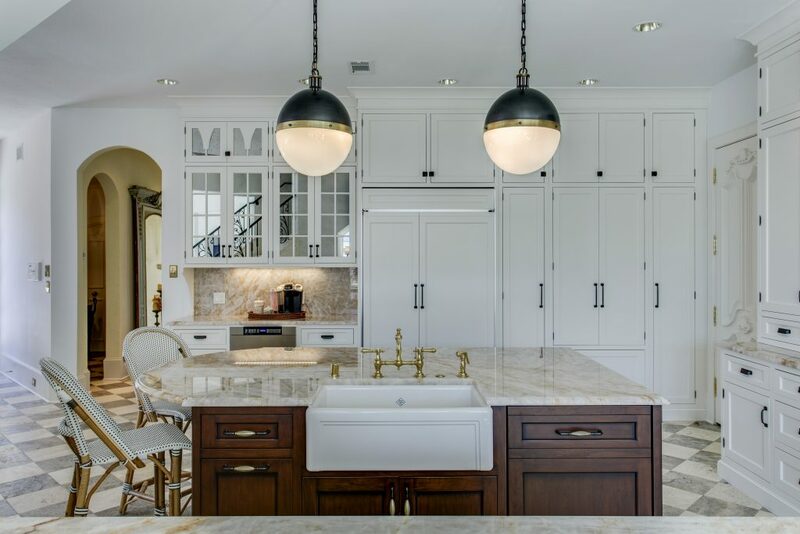 Keep in mind, with fireclay being so durable, the hard material can damage plates and other housewares, plus, it can also be on the pricey side of sinks. Just like the farmhouse sink, the single bowl under-mounted sink also comes in several different finishes – so there is an option for everyone. Undermounted single bowl sinks come in fireclay, stainless, composites, and more. This sink style tends to not be as deep as a farmhouse sink, but that doesn’t mean it’s not as functional. This is a very popular option and is often weighed against the single bowl farmhouse sink. Starting from humble beginnings as a bowl or bucket holding water, sinks today have come a long way. Overall, whichever type of sink style you choose, it will get the job done! While you’re here, check out our blog about “Do you need a pot filler?”.